The last time a Guillermo del Toro-directed film was nominated for multiple Oscar categories, it was in 2007 for Pan’s Labyrinth. Now, over a decade later, del Toro’s The Shape of Water leads the pack at the 2018 Academy Awards with an impressive 13 nominations. Along with Jordan Peele’s horror film Get Out, The Shape of Water has one of the most unique premises of the Best Picture nominees. It also has stunning visuals and great acting performances, so the movie is really the whole package. And while you can’t stream The Shape of Water right now, you will be able to before Jimmy Kimmel hosts the Oscars on March 4th. Considering the plot of The Shape of Water — a mute woman befriends an “Amphibian Man” at the laboratory that she works at — you can expect Kimmel to probably spoof the amphibian-human aspect of it at some point during the Oscars. But this teasing will come from a place of love, considering the Academy is clearly impressed with the unconventional love story. 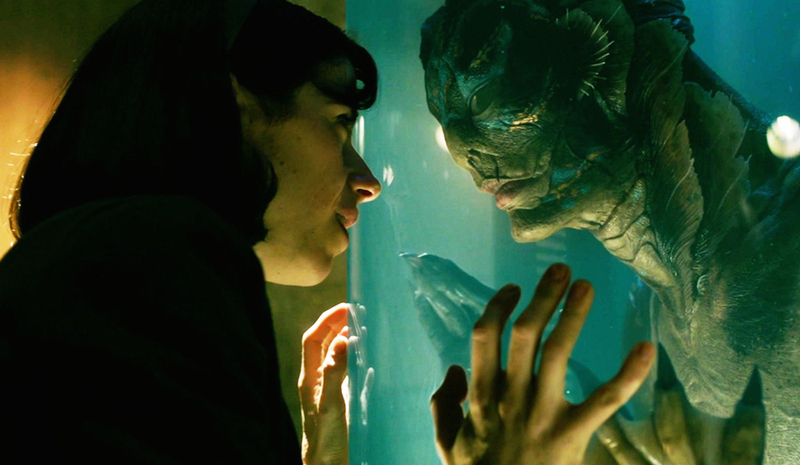 The 13 Oscar nominations for The Shape of Water cover the spectrum, since it has been recognized in the Best Picture, Best Director (for del Toro), Best Actress (for Sally Hawkins), Best Supporting Actress (Octavia Spencer), Best Supporting Actor (Richard Jenkins), Best Original Screenplay, Best Cinematography, Best Film Editing, Best Production Design, Best Costume Design, Best Original Score, Best Sounding Editing, and Best Sound Mixing categories. Unfortunately, you can’t see the magic that is The Shape of Water from the coziness of your couch just yet. While it’s still in theaters, it won’t be available to stream until February 27th. Considering there are only 28 days in the month of February, that gives you less than a week to stream it before the Oscars. When it does become available, you can watch it on sites like Amazon and iTunes for $14.99. It will also be available to buy on Redbox’s new On Demand offering starting February 27th. So if you’re intent on streaming The Shape of Water before the Oscars, make sure you set aside two hours of your schedule to catch it in that small window of opportunity. Otherwise, you’ll be sunk come the Acadamy Awards.